"EVERY time I looked at the beach it was getting further and further away. What started as a bit of skylarking Thursday quickly turned terrifying for bodyboarder Hayden Peebles. 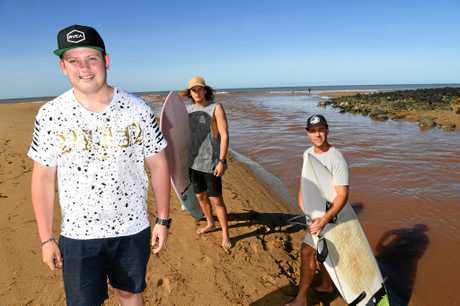 He and some mates decided to ride the surging current at the entrance to Moneys Creek lagoon, Bargara, but when the Causeway went underwater, he was soon out of his depth. "As soon as the Causeway went over the speed of the water got quicker,” he said. "I thought I'd go for one more, and we stood up at the end and were getting out. "I threw the board to my mate but the wind blew it into the water, and my instinct was to dive in for it. Two friends dived in after Mr Peebles but, chest deep and feeling the current pulling them dangerously fast, they returned for their own safety. The rip dragged their mate further out to sea and he was struggling to keep his head above water. "Initially I was panicking, and then I thought there's no point panicking,” he said. "I was holding my breath, going under and fighting my way back up to get another. 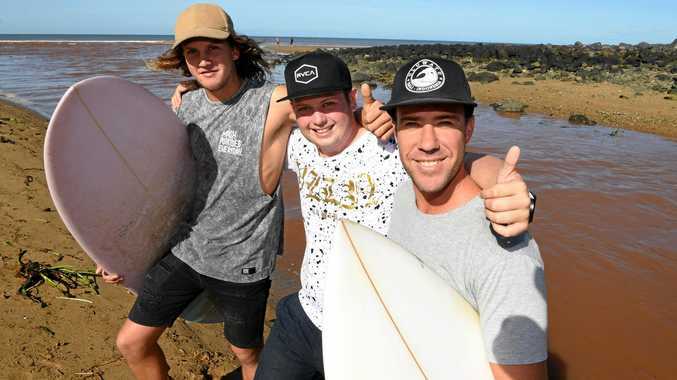 He thought he was all on his own, but two quick-thinking local surfers came to Hayden's rescue. Boaz Bragg reached him first, followed quickly by Ryan Weekes. 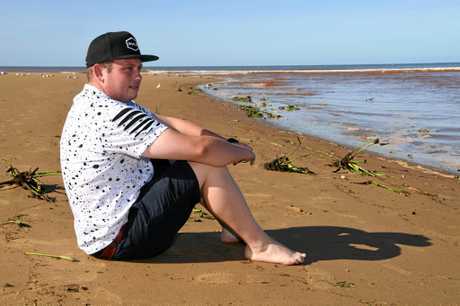 "My brother and I were checking the surf and seeing the guys mucking around in the rip,” Mr Bragg said. "My brother spotted a dude who was further out. "He lost his boogie board and he was getting thrown around a bit. "We walked along the rocks and kept an eye on him, and then he screamed out and waved his hand. "I ran back to the car and grabbed my board. The trio got swept out so far they were near the shark drum lines, Mr Bragg said. 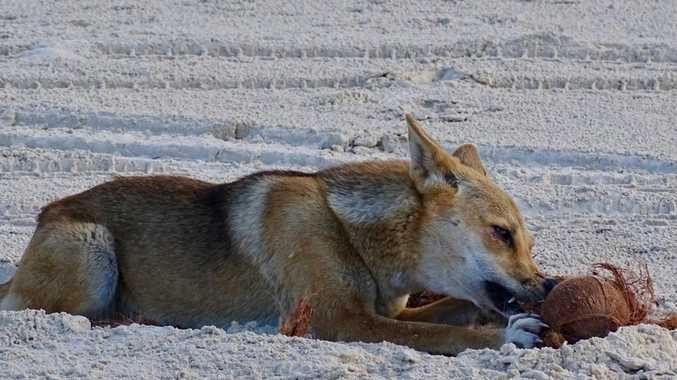 "We got to him at the very southern end of Archies Beach,” Ryan said. "He was not in a good way. "We put one arm under each side and used the board to keep him afloat. There they waited for an ambulance to arrive. The two rescuers, both experienced surfers, said they didn't give a second thought before rushing to Hayden's aid. "You gotta do what you gotta do,” Mr Weekes said. Mr Peebles was yesterday back home and feeling sheepish - but lucky to be alive. "You realise how stupid you can be,” he said. His biggest regret was "the shock I put my parents and brothers through”. "I'm so grateful to everyone on the beach who helped me ... it was amazing,” Mr Peebles said.